The mjpg stream is definitely a “nice-to-have” - I’d really really like to have a nice streamlined single-camera system where the JeVois does double duty as driver assist and vision process. How would it be the driver assist camera once you tune the contrast for the target? Just for aiming, or changing settings at different times? To optimize target identification, we tune the camera to the point that the image is basically useless for the driver. Now, switching modes on the fly, that is where the command line reconfiguration of the JeVois will really make this camera shine! Not having had the option in the past to switch on the fly, we actually ended up trying ways to isolate the targets in a normally exposed video source, rather than relying on a heavily tuned/darkened image. We then run findContours on the resulting binary image. Subtracting the red channel from the green channel yielded a grayscale image that excluded most artifacts. Doing an adaptive threshold on that gives a nice binary image with prominent targets. Sometimes there are still artifacts (like with the blue tower LED’s in Stronghold) but we could easily filter those out based on size, aspect ratio, etc which you want to do anyway. The adaptive threshold takes longer than a standard threshold, but even with that the process is still fast enough to keep up with the normal video frame rate without lag. A neat side effect of this was that we didn’t need to calibrate for different event lighting. The subtraction approach worked consistently even under varying ambient light conditions at different events. Asid61 has just posted a paper on using GRIP with JeVois in FRC. 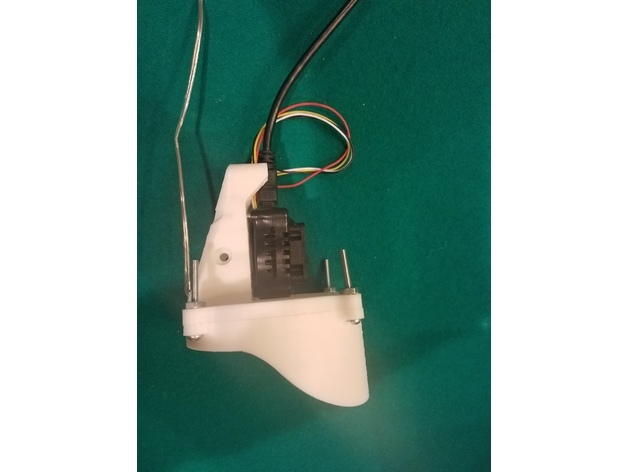 The premise of your question is correct, you should be able to connect to the TTL serial pins in the MXP port. I believe those pins are correct. I just can’t say with 100% certainty that those correct pins on the MXP, but it looks like you are correct. As I wait for may camera and LED ring assembly to print I been playing some. Seems the Camera feed locks up on me when I open it in GRIP. I get a few frames of video then frozen red X. Any hints to why this may be? I did manage to get the sample pipeline generated and loaded onto the Camera using this guide. The only time I experienced lock ups was when I had tracking data and video streaming over USB at the same time. According to the JeVois Technical forums, this should work fine, but my experience is otherwise. It was actually the AMCap that seemed to have issues with it. It is highly possible I had some other configuration goofed up. Does the samples supplied in this paper push data out the usb or serial port or usb? I haven’t dug into the vision code line for line. Well, we haven’t released the code yet that we have developed for JeVois. That will be coming out in the next week or so. That said, The beauty of JeVois is you can simply use a single command line to change which route the data takes out. Our current plan is to stream the data over USB, and not stream the video. We may end up using a second JeVois camera to stream video, but we haven’t made that final decision until we know what the game is and what our strategy will be. images and/or data without the need of video capture software. One thing I do get if I type help is a jumbled mess. I presume that is because I’m trying to use 115200 baud on a hardware serial port [UNO only has one hardware port]. The Streaming data from the vision is 99% clean. Every so often there is a stray character. That is the behavior I would expect. If the module is started, and streaming is already occurring (started by AMCap), then the “streamoff” is invalid. Using AMCap to start a stream is not a “manual” approach, it launches the stream automatically. Confused yet? “streamon/streamoff” are usually used when you have a set of commands in the initscript.cfg start your tracking code on power up, or when you launch it from a command line. Bingo! The Uno shares it’s one serial port between the USB port and TTL pins. That is why the Pro Micro is recommended. They are fairly inexpensive at ~$7.00. Sometime the stray characters are actually status messages from JeVois. You can use the following command to suppress them if desired. to the initscript.cfg but still no data out unless I open AMCap. I do now get a list of errors when booting up. ERR Command error [usbsd]: Cannot export microSD over USB while streaming: Issue a 'streamoff' command first. # the JeVois command-line interface) to execute upon startup, even before a module is loaded. Here is what our initscript.cfg looks like. I will add comments to it here. setmapping2 YUYV 320 240 30.0 JeVois EagleTrkNoStream This is the actual module to load. script.cfg is used to set parameters like exposure etc. I think some of the issues are in trying to merge the two guides. Yours and https://www.chiefdelphi.com/forums/showpost.php?p=1714200&postcount=42 my initscript is from this other guide. Thanks for writing this guide. I added the beginner kit to my Amazon wish list and my wife’s parents got it for me for Christmas. As a word of caution to those who plan on getting it, the included USB MicroSD reader was a VERY tight fit in my laptop’s USB ports and it wouldn’t fit in two of them. I’m not sure if mine was on the thick end of the tolerance zone or if they’re all made this way. Are you running the video stream and the tracking data both over USB? 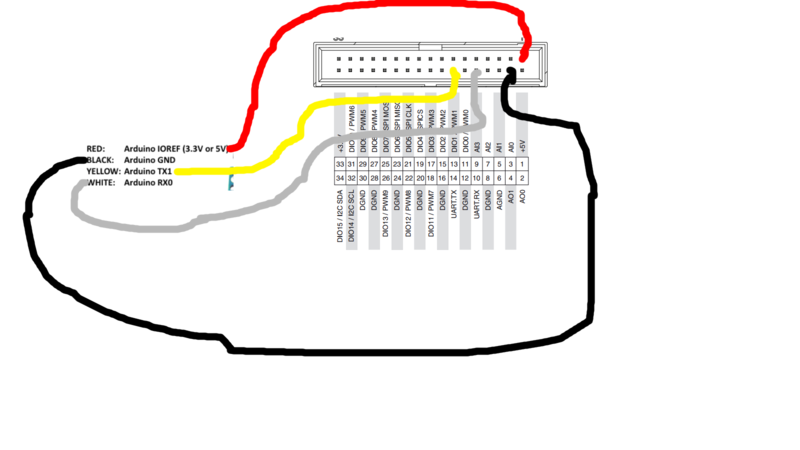 It would be an interesting exercise to run the video over USB, and the tracking data over the TTL serial link. With that configuration, it would be easy to verify which of the 2 sets of data are pushing the Rio CPU the hardest. It would also be much easier to determine if a higher, or lower, frame rate would be beneficial. For example: Acquire your video at 60 frames fps but only send 15 fps over USB. That way you still get 60 frames per second of tracking data, but not saturate the USB link with the video stream. Followup - No RIO yet, but testing with my desktop PC - our latest code will stream 352x288 at ~15 FPS (as measured by AMcap) while doing the image acquiring at that same resolution but 60FPS. Our vision pipeline is currently running in about ~6.5ms with multiple targets in view, and streaming serial data at 60 packets/sec. Powershell scripts written to speed up deploy & debug process while on windows PC’s. I was able to use your code examples in a number of spots for our processing pipeline and configuration. Thanks for posting again! One potential pitfall - I believe MJPG Streamer on the RIO will actively open/close the USB cam connection as clients connect and disconnect. I would prefer if either a) the JeVois was able to dynamically swap between programs depending on whether a camera was hooked up or not, or b) MJPG Streamer had an option to keep the camera connected at all times. Till then, we’ll just use two distinct modes on the robot (stream for debug, or no-stream for “production”). Test RIO code to ensure we can get the same performance on that host platform. RoboRIO code to extract the proper mapping or resolution settings based on a fixed module name, and the results of the “listmappings” command - should be easier than trying to keep the JeVois and RIO code in sync. I like to support the cables. A couple of 2-52 bolts and a zip tie around the USB does the trick. How was the reliability of the platform (shock/power cycling/etc)? One super late follow-up: We finally broke our microUSB port on our initial one after what I would estimate was about 3000 cycles over a year of usage. Would definitely recommend a mount where the connector can be secured relative to the camera, so as not to stress the microUSB port itself.